Just a Little Ink: Finally, October! Finally, it's October! It's not that I'm overly fond of October, but more that I've finally made it to October. You see, I've been busy getting a grasp on some new responsiblities in the Bible study that I'm a part of and it has been rather time-intensive! It's all very good, but it has caused me to put my stamping on the back-burner. 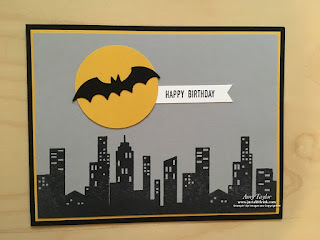 I've still been stamping and I do love creating with those rubber stamps and ink and all! So, I'm not going anywhere. 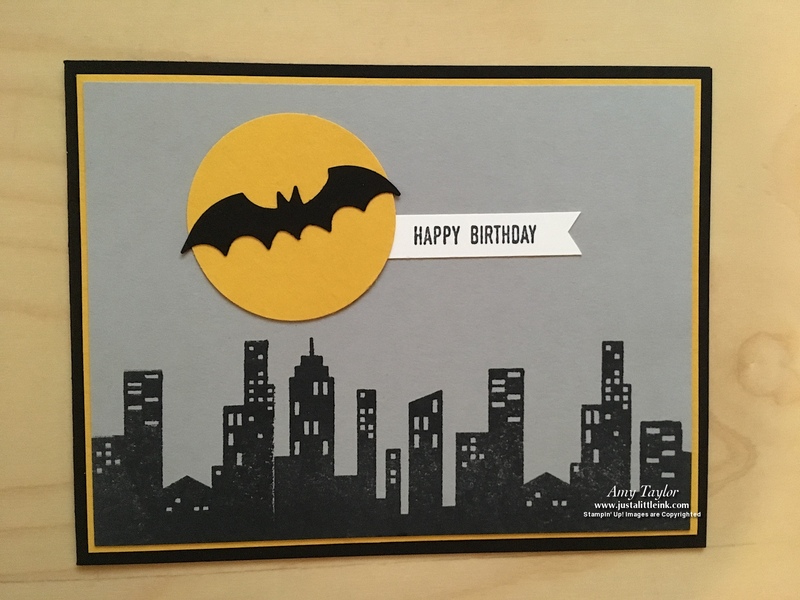 Here is a card I made for my niece who loves Batman! When we made these cute little boxes (photo below) this last month in stamp club/classes, it gave me some inspiration. The stamp set is an oldie (one of the first photopolymer stamps that Stampin' Up! came out with). 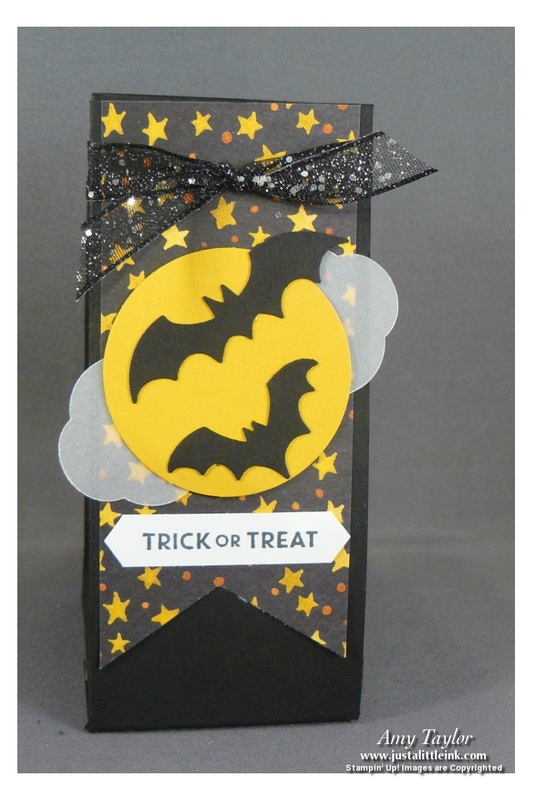 The bat is one of the bats from the Bat punch in the Holiday Catalog. Cute and simple to put together. Watch for the other projects we made this last month in the following days.